I have talked a lot about my vampires, but what about the others that are in my novel? The first one you met is Swen, the berserk. Berserks are not used much in modern fantasy stories. You can find them a plenty in any stories based in Norse mythology. But what about modern times, could berserks be around? The simplest explanation is given above. They were warriors that were unstoppable in battle that wore bear furs. Men saw that a great bear went before King Hrolf's men, keeping always near the king. He slew more men with his forepaws than any five of the king's champions. Blades and weapons glanced off him, and he brought down both men and horses in King Hjorvard's forces, and everything which came in his path he crushed to death with his teeth, so that panic and terror swept through King Hjorvard's army..." (Gwyn Jones. 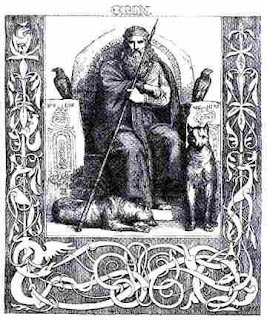 Eirik the Red and Other Icelandic Sagas. NY: Oxford Univ. Press. 1961. p. 313). So Swen changes into a bear. Doesn't sound too bad. 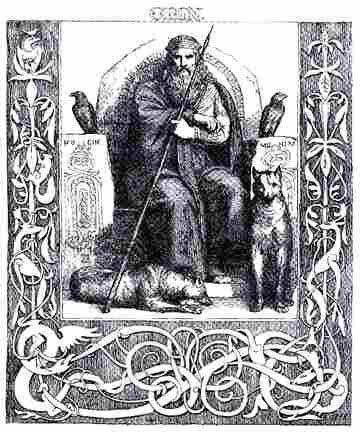 Berserks were tied to the god Odin. It is likely that the berserk was actually a member of the cult of Óðinn. The practices of such a cult would have been a secret of the group's initiates, although the Byzantine emperor Constantine VII refers in his Book of Ceremonies to a "Gothic Dance" performed by members of his Varangian guard, who took part wearing animal skins and masks: this may have been connected with berserker rites (Hilda R. Ellis-Davidson. Pagan Scandinavia. NY: Frederick A. Praeger. 1967. p. 100). 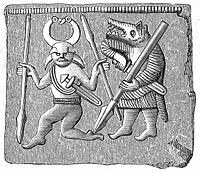 This type of costumed dance is also seen in figures from Swedish helmet plates, scabbard ornaments, and bracteates which depict human figures with the heads of bears or wolves, dressed in animal skins but having human hands and feet. These figures often carry spears or swords, and are depicted as running or dancing. One plate from Torslunda, Sweden, may show the figure of Óðinn dancing with such a bear figure. So Swen changes into a bear and worships Odin? Swen is loyal and expects loyalty back. If he finds you to be an honorable person (or vampire), he will help to protect you. But when he turns no one should stand in his way. The people around him have learned how to help him control his rages. His girlfriend Cassie, is easy going, and loves Swen dearly. He would never harm her, even in his rage (he says). Vincent can order him, but is still cautious around him. I do promise Swen's role becomes much larger as the series progresses, but for now, just don't piss off the bouncer.